WC Vendors Pro & Dokan Pro have the similar purpose of developing Multivendor website using WordPress. 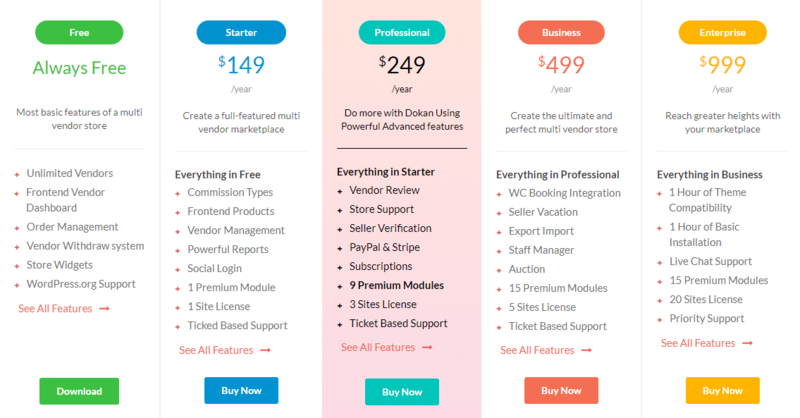 Although both WC vendor Pro & Dokan Pro provide same function, but they offer different packages. Basic Pro version of Wc vendor price is $199, at the same time Dokan Pro price is 149$. If you have any question about dokan pro or you want to check demo dashboard, let us know. We will setup a demo for you. Interested to know why dokan is best?